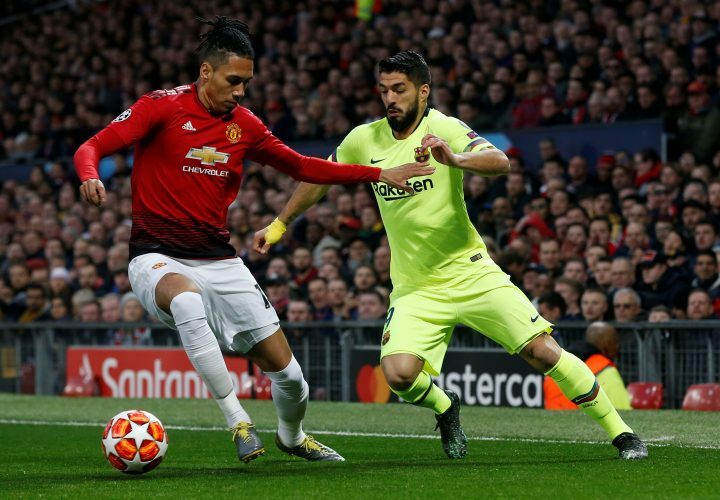 The first leg of the Champions League quarter-final tie between Manchester United and Barcelona ended 0-1 in favour of the away side. The Spanish giants were far from dominant at Old Trafford, however, as Ole Gunnar Solskjaer’s men put up a decent shift and kept the visitors on their toes for a majority of the game. Used his feet well to deny Philippe Coutinho and Jordi Alba in each of the two halves. Wasn’t tested much otherwise. Extremely poor with his delivery from the right flank. Zero successful crosses. Zero successful dribbles. A complete liability. A rock at the back. Dominant in the air. Kept him promise of dealing with Lionel Messi by giving the Argentinian a bloodied nose. Another good display. Hardly put a foot wrong. The ball deflected off his shoulder and into his own net. Picked up a yellow, and will subsequently miss the second leg at Camp Nou. Worked very hard in middle of the park. Won the ball back numerous times, and passed it well. A commendable performance against one of the best midfields in the world. United’s academy graduate put in a brilliant shift against the Catalans. Used the ball well, and stamped his authority in midfield. Fearless. Started slow, but grew into the game eventually. The worst of the Red Devils’ midfield trio on the night. Missed a glorious chance to equalise by heading the ball wide. Looked far from comfortable on the left wing. Was kept quiet by Gerard Pique. Wasteful on free-kicks from promising positions. Did not move as actively as he should have. The fact that the home side recorded no shots on target sums up the frontline’s performance against the Spanish opposition. Provided a temporary burst of energy after coming on. Worked hard, and managed a few good passes.